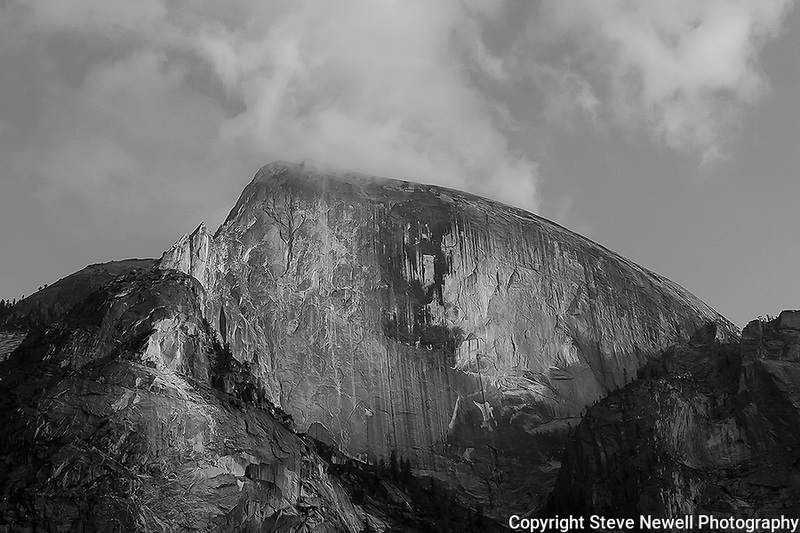 "Half Dome Sunset Fall" Black and White Artistic taken during the Fall Season. Yosemite National Park, California. I made and adjustment to the texture of the rock to smooth it out giving it more of an artistic perspective. Capturing Half Dome at sunset really showcases the spectacular colors of its monolithic face. 45,000 people a year climb the famous cables to the summit too enjoy the view of the Valley floor.